Put it in the Books - S1 E14 - Back on track? 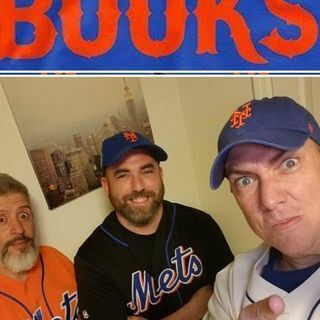 Steve, Keith and Rodriguez are back at it with episode #12 of Put it in the Books! Here are just some of the topics for this week! Is NIMMO the Metspedes we need? The new Spark to get us going? Where in the world is Mehpedes? Fundies - does anyone care? Do teams care? Both Keiths do! Are the starters ready to dominate the league? Stats say YES! Trade talks and rumors continue to swirl. Bullpen issues and positives. Can the bullpen of the first 2 weeks return? Will our rookie MGR be able ... See More to handle playoff pressure? Bench coach - is he useless? Vargas - how long is too lon?. Should he swap roles with Lugo then Thor comes back? Offensive resurgence on the road. Mets are still contenders ...it's obvious! Den Dekker and MiLB Mets report.